Offering you a complete choice of products which include small industrial boiler (sib), solid fuel fired boiler, non ibr boiler, mobile steam generator, gas fired boiler and ibr steam boiler. 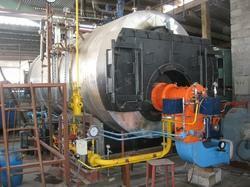 We have been dealing in the export and manufacture of Small Industrial Boiler (SIB). 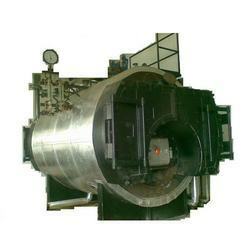 The offered boiler is widely used in the industrial and commercial sector, for generating high-pressure steam. 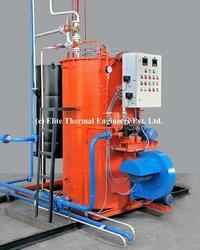 Our manufactured small industrial boiler is easy to handle and operate. The small industrial boiler is provided with wide heat transfer area, which ensures longer functional life of the boiler. Our offered boiler is corrosion resistant, owing to the powder coating. Fuel suitability: Agro Waste Briquettes, Biomass, Indian Coal, Wood Chips etc. Our small industrial boiler has applications in various types of industries like chemical, pharmaceuticals, food processing, laundry, hotels, hospitals, dairy etc. where steam requirement is less & low pressure steam is required for indirect & direct process heating purpose. Product promoted and marketed by: M/s. 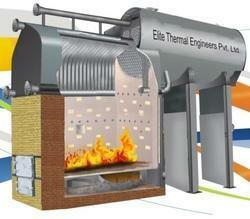 Elite Thermal Engineers Pvt. Ltd.
We are one of the well-known exporters and manufacturers of Non IBR Boiler. The offered boiler is widely acclaimed for high steam output, which is characterized by high steam pressure and temperature. 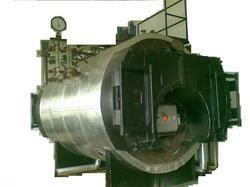 Our manufactured boiler is capable of reaching the full load stage in very small time duration. The offered boiler is designed to consume less fuel and energy. 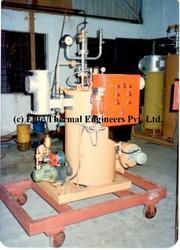 Our manufactured boiler is available at very cost effective market price. Our Non IBR boiler has applications in various types of industries like chemical, pharmaceuticals, food processing, laundry, hotels, hospitals, dairy, edible oil, textile etc. where steam requirement is less & instant steam is required in minimum possible time from cold start for a start – stop (batch) operation for indirect & direct process heating purpose. We design, manufacture and supply mobile steam generators having excellent quality and reliable performance. Our mobile steam generators are ideally suitable for small lodges, restaurants, laundries, milk dairies, farsan manufacturers, small / big kitchens, and automobile service centers. We can also supply mobile steam generators working on single phase electric supply. We are humbled to declare ourselves as the exporter and manufacturer of Gas fired Boiler. The offered boiler is very efficient, to provide maximum heat for the steam generation. Our manufactured boiler is powered by highly combustible gas. The offered gas fuel boiler is a fully wet back construction, which ensures maximum heat transfer for steam generation. Our offered gas fuel boiler is available at very cost effective market rates. Our gas fired boiler has applications in various types of industries like chemical, pharmaceuticals, food processing, laundry, hotels, hospitals, dairy, edible oil, textile etc. where steam is required for indirect & direct process heating purpose & LPG or Natural Gas is available in the installation region. Our firm is a widely acclaimed exporter and manufacturer of Oil fired Boiler. The offered boiler is fueled by combustible oils such as light oil, light diesel oil, furnace oil and heavy oil. Our manufactured boiler is known for high fuel efficiency and minimal energy losses. 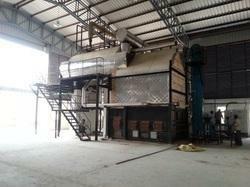 The offered boiler is known for high volumetric capacity and high boiling performance. Our manufactured boiler ensures complete fuel combustion, for increased boiling efficiency. Our oil fired boiler has applications in various types of industries like chemical, pharmaceuticals, food processing, laundry, hotels, hospitals, dairy, edible oil, textile etc. where steam is required for indirect & direct process heating purpose. We offer 2 types of Coal fired Boiler; integral furnace type coal fired boiler for the capacity range; 500 kg/hr to 3000 kg/hr & external furnace type coal fired boiler for the capacity range; 1500 kg/hr to 10000 kg/hr. The integral furnace type coal fired boiler is a packaged type coal fired boiler with internal furnace & external furnace type coal fired boiler is a hybrid / composite type coal fired boiler with external furnace. Our coal fired boiler has applications in various types of industries like chemical, pharmaceuticals, food processing, laundry, hotels, hospitals, dairy, edible oil, textile etc. where steam is required for indirect & direct process heating purpose. We offer 2 types of Briquettes fired Boiler; integral furnace type briquettes fired boiler for the capacity range; 500 kg/hr to 3000 kg/hr external furnace type briquettes fired boiler for the capacity range; 1500 kg/hr to 10000 kg/hr. The fuels which can be used in our briquettes fired boiler mainly include; biomass briquettes. The integral furnace type briquettes fired boiler is a packaged type briquettes fired boiler with internal furnace external furnace type briquettes fired boiler is a hybrid / composite type briquettes fired boiler with external furnace. Our briquettes fired boiler has applications in various types of industries like chemical, pharmaceuticals, food processing, laundry, hotels, hospitals, dairy, edible oil, textile etc. where steam is required for indirect direct process heating purpose. We offer 2 types of Wood fired Boiler; integral furnace type wood fired boiler for the capacity range; 500 kg/hr to 3000 kg/hr & external furnace type wood fired boiler for the capacity range; 1500 kg/hr to 10000 kg/hr. The integral furnace type wood fired boiler is a packaged type wood fired boiler with internal furnace & external furnace type wood fired boiler is a hybrid / composite type wood fired boiler with external furnace. 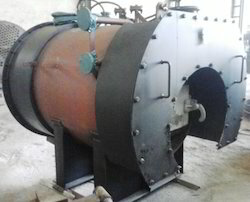 Our wood fired boiler has applications in various types of industries like chemical, pharmaceuticals, food processing, laundry, hotels, hospitals, dairy, edible oil, textile etc. where steam is required for indirect & direct process heating purpose. Biogas Fired Boilers offered comes in durable structure finish with choice of horizontal, three-pass, wet-back structure finish.